Lori McKenna’s “The Bird & The Rifle” is a lesson in song craft. And, she’s a great example of how writing first for yourself, growing your skills and then being able to write for a genre outside your own can result in commercial success. 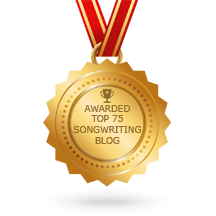 She’s one of the top songwriters in Nashville not because she focused on being a songwriting for Nashville or country artists, but because she focused on her songwriting. This song masterfully illustrates how to use a metaphor to get across an idea most would have just put into a scenario between a man and woman. She went with a rifle and a bird. She also uses unconventional approaches to common structures like a bridge and chorus. Best of all, these are all techniques you can incorporate into your own songs. Written by McKenna, Troy Verges & Caitlyn Smith, the song idea came from a line in an episode of Modern Family while she was doing laundry (an apparent passion project of late). On its surface, the line is an OK joke, but fairly benign. In McKenna’s hands, it transforms into a compelling love story of fear and freedom. McKenna was able to take a sitcom joke and turn it into a compelling metaphor without ever leaving the listener behind. A super clever rhyme pattern with staggered end rhyme gives the song a unique sound and story-like atmosphere. It pulls the listener in with auditory gymnastics, particularly in the chorus. This is a great example of creating contrast in a song without over-doing it. Sometimes we get into a common song pattern. The industry says X, so why not do it if it will help make the song more commercial? Because it doesn’t always benefit the song. Lori McKenna shows why convention isn’t always the best approach. 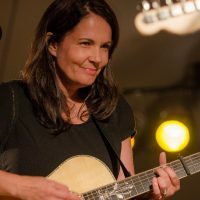 Apply Lori McKenna’s Techniques To Your Songs!